Virtual private networks, or VPNs, connect users to private, secure networks. Companies hoping to increase security or restrict user access to sensitive data can utilize VPNs to set up gated, internal networks. Individuals can also use VPNs to secure networks and encrypt certain data (individuals interested should look explore the best free VPN options in 2018. If a company has a large number of users accessing their network remotely, a VPN will ensure no unapproved users have access to data. Employees may connect at airports, hotels, or libraries using unfamiliar and unsecured connections, but a VPN will prevent hackers or other criminals from accessing sensitive company data. These tools also encrypt IP addresses, mask locations, and can bridge connections between devices. These products often contain firewalls to prevent viruses, hacks, and other threats. Many network security packages include VPNs, but offer significant additional functionality and security than a standalone VPN. Virtual Private Network (VPN) reviews by real, verified users. Find unbiased ratings on user satisfaction, features, and price based on the most reviews available anywhere. Windscribe is much more than a VPN. 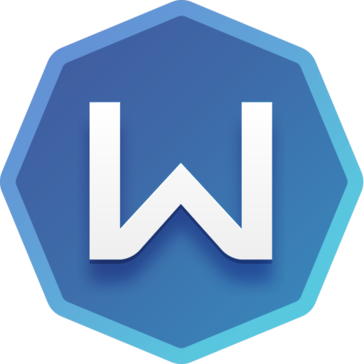 It's a desktop application and browser extension that work in conjunction to protect your online privacy, unblock websites, and remove ads and trackers from your everyday browsing. The Psiphon 3 Circumvention System is a relay-based Internet censorship circumventer. The system consists of a client application, which configures a users computer to direct Internet traffic; and a set of servers, which proxy client traffic to the Internet. As long as a client can connect to a Psiphon server, it can access Internet services that may be blocked to the user via direct connection. Free web proxy, VPN and online privacy tools. 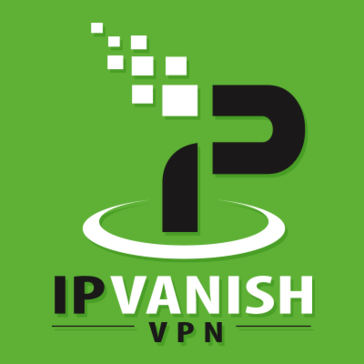 IPVanish is the only true Top Tier VPN service in the world. This means we deliver the best VPN speeds, the most secure connections and the most competitive pricing anywhere. Our VPN network spans 40,000+ IPs on 1,100+ servers in 60+ countries, giving you the ability to surf anonymously and access blocked websites from every corner of the globe. IPVanish simply believes in a secure Internet — an online environment with the freedom to protect confidential data and maintain anonymity. As a champion for privacy, IPVanish offers a secure solution to protect online activity and personal information. Everyone deserves online confidentiality, and IPVanish is there to provide the lock and key. Nowadays, Privacy is a Luxury! Whenever we pay our bills, manage our bank accounts, or log in to our favorite social networks, our credentials, account numbers, billing address, and other private data may end up in the crosshairs of identity thieves. Trust your security and privacy to professionals - KeepSolid VPN Unlimited! ===== KeepSolid VPN Unlimited features: WEB PRIVACY Keep your internet activities anonymous and untraceable wherever you are. Zero-log policy, traffic encryption, IP and DNS masking. These all mean that third parties are not able to monitor you any longer, and that your privacy is reliably secured from obtrusive website and ISP surveillance. UNLIMITED ACCESS Our high-speed VPN servers in 70+ locations all over the globe, as well as our enhanced KeepSolid Wise technology, allow you to freely surf the web without giving out a single piece of your personal information, including your current location. Don’t let websites discriminate you based on the way you surf the internet or the place you browse it from. TOTAL SECURITY KeepSolid VPN Unlimited offers a variety of VPN protocols, each with unique capabilities and strengths. Just choose the one you would like to try. For instance: OpenVPN - an extremely secure and highly configurable protocol that uses a wide range of encryption algorithms (including AES-256). IKEv2 - a secure and easy-to-setup protocol that can effectively change networks and re-establish VPN connection if it was temporarily lost. It provides a significantly higher connection speed and a better performance. PureVPN provides unrestricted browsing experience with protection against all online threats. The mobile VPN to enable secure access from any device to enterprise apps and services in the data center or cloud. GOOSE VPN service provider is designed to offer affordable, customer-friendly VPN service. 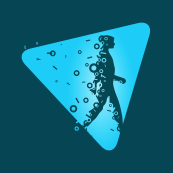 Speedify is a fast VPN application with patent pending channel bonding technology that uses multiple connections in parallel for speed and failover protection. SurfEasy is a virtual private network browser security application. ZenMate offers VPN service for internet security and privacy. IVPN is an online privacy and security service. SaferVPN is a Virtual Private Network provider offering online freedom, security and anonymity to business clients. blackVPN protects your privacy and prevents your ISP, government or employer from monitoring and controlling your online communications and browsing activity. Unlike other VPN services, ProtonVPN is designed with security as the main focus, drawing upon the lessons we have learned from working with journalists and activists in the field. LimeVPN is a reliable & affordable VPN service provider to users. Norton Wifi Privacy VPN is a virtual private network software for keeping sensitive business information more secure through anonymous browsing. Hola is a community powered Virtual Private Network. ibVPN provides a VPN, SmartDNS and Proxy solution. Perimeter 81 is the ultimate secure network access service for your business. Say goodbye to costly VPN hardware and hours of manual configuration, and instantly grant your team secure access to critical company resources based on-premise, on the web or in the cloud. With Perimeter 81 you can easily deploy private servers with static IPs, manage team member access and gain unparalleled network visibility with an all-in-one cloud management portal. Plus, with single-click apps for every device, 256-bit bank-level encryption and our unique Automatic Wi-Fi Security feature, you can enjoy complete peace of mind online knowing that your team is always working securely – even while on the go. A leading provider of next-generation network access solutions for the mobile enterprise. SmartVPN is an easy to use solution that protects your data and gives you unrestriced access on all your devices. Online privacy, anonymity, and identity protection solutions. CactusVPN is a virtual private network enabling users to encrypt their internet connections. IPredator provides you with an encrypted tunnel from your computer to the Internet. Mac OS X VPN Client provides a secure connection between your Mac computer and VPN server. It allows you to change your IP address and encrypt all your data when it is being transmitted via a VPN tunnel. As a result, all your data and web history are kept anonymous so that even your internet system provider (ISP) does not know which sites you visit or what files you download. Pritunl is an open-source enterprise distributed OpenVPN and IPsec server. Multi-protocol open source VPN software that can be used for remote private access across all sites. VPN Gateway is an Internet-based service that establishes a safe and reliable connection between a VPC and your on-premise data center using a VPN tunnel. Hi there! Can I help you find the best Virtual Private Network (VPN) solutions?